Iraq has ordered 27+23 options (50) Armed Bell 407s to fulfill the same role as the new EC635 in the Iraqi army aviation. The key difference between them being the source of supply and the armaments / avionics (although they are essentially "equivelant" armaments and avionics). 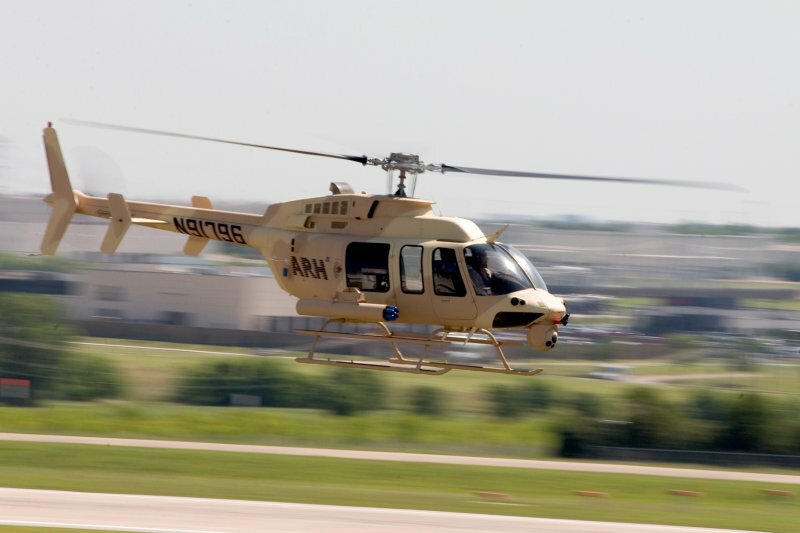 just now, ARINC has advertised for technicians to be based in Taji to service the avionics of the Armed Bell 407 ... showing that the type is entering service quietly in iraq. Job Desc:	At ARINC, our people make the difference. We employ some of the most talented, dedicated people on the planet to deliver communications, integration, and engineering solutions that help improve the world and meet commercial, defense, and government challenges. We continually seek qualified candidates to join in contributing to our outstanding global team. ARINC, a portfolio company of the Carlyle Group, is proud to be an equal opportunity employer. If you‘re looking for a career where your expertise can change everything, look to ARINC. ARINC Technical Services‘ Taji, Iraq location is seeking a Bell 407 Avionics/Electrical Flight Line Technician. can anyone ID if these are the new armed BELL 407s? CAMP TAJI, Iraq - The Iraqi Army Aviation Command received three Bell T-407 training helicopters at the directorate’s headquarters at Camp Taji Dec. 11. These helicopters will be used to train Iraqi army pilots with the 21st IqAAC Squadron to fly the Iraqi Armed 407, or IA-407, which is an Armed Scout Helicopter that is essentially a modified Bell 407 with forward-firing ground attack capabilities, according to United States Forces-Iraq officials with the Iraq Security and Assistance Mission. Additionally the IA-407 is equipped with Intelligence, Surveillance and Reconnaissance and data-link capabilities; and armed with .50-caliber machinegun and 2.75-inch rockets. A total of 27 IA-407s are scheduled for delivery to the 21st Squadron in late 2011 and early 2012. The Iraqi army already has two newly-qualified instructor pilots, who along with their USF-I advisor counterparts, will soon begin the process of developing a cadre of instructor pilots to establish a self-sustaining program to support Iraq’s Armed Scout Helicopter program. These three training helicopters made the trip from Redstone Arsenal in Huntsville, Ala., aboard a U.S. Air Force C-17 cargo aircraft. They are currently undergoing reassembly and flight testing prior to an official delivery ceremony in Taji that is scheduled for Dec. 15.
official pics of the T407s. بغداد – سعياً في تطوير سلاح المروحيات في الجيش العراقي، شهد يوم الحادي عشر من كانون الأول/ديسمبر الجاري حصول قيادة الطيران العسكري في الجيش العراقي على ثلاثة طائرات مروحية طراز (بيل تي- 407) في مقر المديرية الواقعة ضمن معسكر التاجي. ووفقاً لتصريح المسؤولين في مهمة التدريب والاستشارة التابعة لقوات الولايات المتحدة في العراق، فإن هذه المروحيات ستستخدم في تدريب الطيارين العراقيين من السرب 21 في قيادة الطيران العسكري للجيش العراقي، ليحلّقوا بعد ذلك بالمروحيات المسلحة العراقية طراز 407 أو IA-407، وهي مروحيات استطلاع مسلحة وتُعدُّ في الأساس نسخة معدلة من المروحيات (بيل-407) ومزودة بقدرات إطلاق نيران أمامية للهجوم البري من الجو. وبالإضافة لما تقدم فإن مروحيات IA-407 مزودة بمعدات للاستطلاع والمراقبة وجمع المعلومات وربط البيانات، وهي مسلحة أيضاً برشاشة آلية عيار 0.50 وصواريخ عيار 2.75 بوصة. ومن المقرر أن يتم تسليم 27 مروحية من طراز IA-407 إلى السرب 21 في طيران الجيش العراقي بحلول نهاية العام 2011 وبداية العام 2012.
quite possibly, since the pictures are from BEFORE the delivery date. They are Iraq's old OH58C+AB206s. but the bottom picture should be the T-406 trainer. As well as in the first picture there are 4 ships, Iraq received only 3.
to be honest the Mi28 would be a good solution, and it has the same engine as iraq's new Mi17s (VK2500) so maintenance is not an issue. article from the armed force magazine. من اهلل ان يوفقنا ويرعانا.